KATHMANDU, NEW DELHI, Sept 15: India is likely to offer Nepal's new prime minister help building an east-west railway line and better access to its ports on his first visit this week, as it tries to regain ground lost recently to China. Prachanda, a former Maoist rebel commander, has chosen New Delhi as his first foreign stop, seeking to rebalance ties that chilled under his pro-China predecessor. K.P. Oli had sealed trade deals that sought to reduce landlocked Nepal's economic dependence on India. "Relations with India have become frosty for some time. I want to remove the bitterness," Prachanda told reporters on Tuesday evening in Kathmandu, adding India now "wants to help Nepal, which is in difficulties." Nepal has yet to complete a political transition after a decade-long insurgency and weeks of deadly street protests that brought down the monarchy nearly a decade ago. A new republican constitution is still a source of rancour for southern plains people who mounted a five-month border blockade that ended earlier this year. The country's last government said the fuel and trade embargo had the tacit backing of India - a charge New Delhi has denied. Prachanda said that, on his four-day trip starting on Thursday, the two sides would discuss the railway line stretching from Mechi in east Nepal to Mahakali in the west that India will help build. An Indian railway official said the project that runs parallel to Nepal's 1,030 km (640-mile) east-west highway has been talked about in the past, but that the two countries are now discussing financial terms. "The plan is to push forward immediately with this project. It's a big development project," said the official involved in preparations for the visit. The mountainous country has only one short rail line from Jaynagar on the Indian border to Janakpur. Another possible project, Prachanda said, was a hydro-electric power plant that could be built with Indian grant aid. Nepal is one of several South Asian countries where India and China are vying for influence. India has long considered the country of 28 million people as a natural ally based on their close historical ties and long open border. But China has gained a foothold, rapidly building roads and hospitals while there was little progress on long-standing Indian proposals for hydro-electric plants and trade and transit corridors that became mired in political disputes. 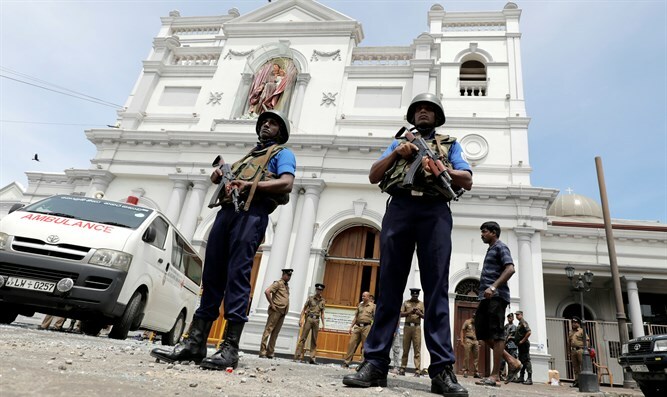 It is part of a broader push by China into South Asia, including a $46 billion economic corridor across India's neighbour and rival Pakistan and investment in a port in Sri Lanka, where a Chinese nuclear submarine docked in recent years. Under Oli's government, Nepal signed a deal to extend China's Tibet rail network to Kathmandu, created special economic zones for Chinese firms and sealed a long-term agreement for petroleum imports, alarming New Delhi. In July, Oli stepped down after months of stalemate over the new charter, which experts said underlined the vulnerability of governments in Kathmandu that take a stridently anti-India line. Prachanda may have chosen to come to Delhi first for that reason, they added. "It is the politicians' understanding that without keeping India in good humour they cannot remain long in power," said Guna Raj Luitel, editor of the Nagarik daily. India is still Nepal's biggest trade partner, donor and supplier of essential goods, as well as the only source of fuel for the impoverished country that is struggling to recover from two earthquakes last year that killed 9,000 people. "The previous government very definitely coordinated with China more explicitly than earlier governments. That was a response to the border situation and sent a message to New Delhi," said one Western diplomat, referring to the blockade on the border that ended in February. Prachanda is making "a deliberate recalibration away from what the previous prime minister planned, which was a closer relationship with China", the diplomat added. Nepali media said Chinese President Xi Jinping had put off a visit planned for October due to lack of progress on Nepal's part on the projects agreed between the two countries. Nepal's foreign ministry denied any cancellation but gave no date for the visit. Chinese Foreign Ministry spokeswoman Hua Chunying would not directly confirm that Xi's October visit to Nepal had been cancelled, but said instead that exact dates had not been set. "The term 'cancelled visit' is not very accurate, because the two sides are maintaining communication on high-level bilateral exchanges through diplomatic channels," Hua told a regular press briefing in Beijing on Monday. The Annapurna Post said Beijing was particularly unhappy about Nepal's tardy progress on its One Belt, One Road initiative, Xi's signature project to build out infrastructure and establish new trade routes across the region. "Nepal should have moved faster on these projects as they are in our long-term interest. By now we should have submitted concrete proposals to the Chinese side on them," Mahesh Maskey, a former Nepali envoy to China, told Reuters.